You want to make a change in your life and you have a choice about when to make it. You can do it while things are quiet and settled, or you can do it at a time when you’re going through other changes – moving or switching jobs or graduating or ending a relationship. Which do you pick? 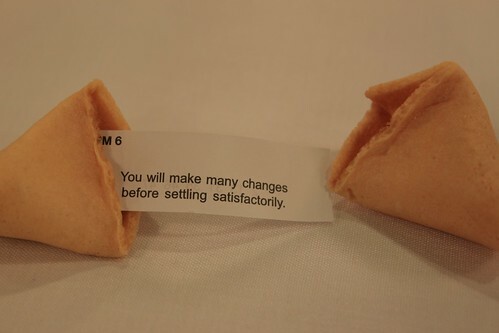 I would have put money on the idea that most of us prefer to make changes when we’re not unsettled by life upheavals. That when we’re already going through big changes, we want the equivalent of comfort food, not newness. I would have lost my bet. Stacy Wood did a series of experiments to find out when people are most open to making changes or trying something new. Over and over, her results showed that we’re most likely to leave our comfort zones and try new things during times of upheaval. For example, Wood asked American university students to choose between a popular American brand of potato chips and a brand of British chips (crisps) that came in unfamiliar flavours like “Thai chili and lime” or “Camembert and plum”. She also asked them how much change was going on in their lives (as part of a larger questionnaire). Wood’s results showed that the more change the students were going through at that time, the more likely they were to choose the British crisps over the American chips. The same pattern occurred when the students were asked about non-food choices such as music, movies or locations. Even making the study participants think about change increased their preference for new experiences over familiar ones. When Wood asked students to list either two or eight changes going on in their lives at that time, those asked to think of eight changes were more likely to pick the unfamiliar options. It seems that we become more open to change when we’re already experiencing it. This is supported by the results of an older study on life changes that found that attempted changes were more likely to be successful if they were associated with other changes, such as a move to a new location or developing a new sense of identity. These findings don’t suggest any new ways to make changes happen, but they do offer some ideas about timing. If your organization is moving to another office, this might be the best time to implement a new computer system. Look for new volunteers or members among those who’ve recently moved to the area. Quit smoking while you’re on vacation. Keep it realistic, though. Don’t ask new parents to start a super-challenging exercise routine. They’ll never listen to you again and in a few years, when they have the energy, they’ll give you a really nasty look.